This was what I made as a 13 year old for class. 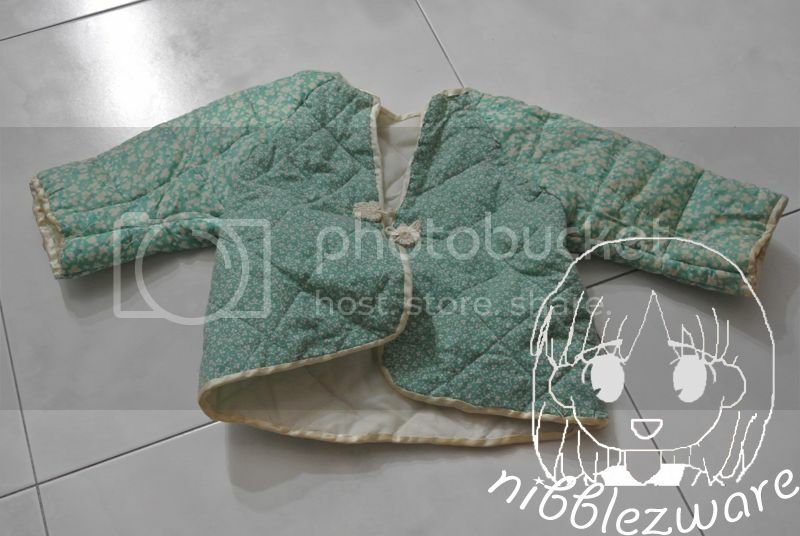 I was very stubborn and not very wise, because I bought the turquoise quilted cloth I liked very much even though it was not big enough for the pattern. There was a orange quilt I saw which was big enough but I was insistent. I then obviously ran out of material to make the sleeves, and was severely marked down. I kept it for years to remind myself not to be impetuous and somehow it got lost in the years since. I found it while rummaging through my cupboards while packing the remainder to move to the other new apartment. Unfortunately it was not in a good state and B1 was so "urgh"ed by it, he insisted I throw it away.